Hair breakage hase to be one of the most common hair complaints that women from all walks of life have! 1. Figure out what’s causing it. Are you using too much heat on your hair? Remember that putting your hair straightener at heats above 150C can lead to permanent damage. In order to have stronger hair, it’s advisable to do approximately one or two protein treatments a month. Protein treatments don’t need to be time-consuming or expensive. Simply use kitchen cupboard ingredients like eggs or mayonnaise. Protein treatments often have an immediate impact on your hair and should help to increase its’ strength and reduce damage. Holding onto damaged ends is one of the most common causes of breakage. Make sure you commit to having your ends trimmed roughly once every 6-8 weeks (depending on how frequently it grows). Although a professional hair cut isn’t compulsory, a good hair dresser will have the skill to trim your hair without making it look much shorter. Always be specific with your hair stylist and be clear about how you’d like your hair to look. 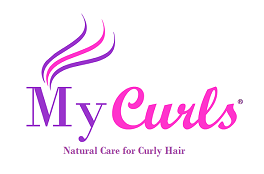 If you have any questions about your curly hair simply tell us in the comments section below!